Having problems? 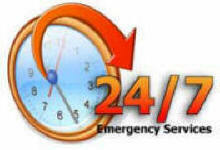 Our technicians are available 24/7/365. Commercial overhead doors, service doors, docks and other problems needing quick response. Commercial door installation and repair. Lift and opener installation and repair. Operable wall installation and repair. Traffic door installation and repair. Fire door installation and repair. Service door installation and repair. Rolling grille installation and repair. Vinyl strip door installation and repair. Roll up counter door installation and repair. Room divider installation and repair. Dock door installation and repair. Dock equipment installation and repair. Safety door installation and repair. At Door 1 Systems, we strive to please our customers and will not perform any unnecessary repairs or services that aren't required to complete the job.